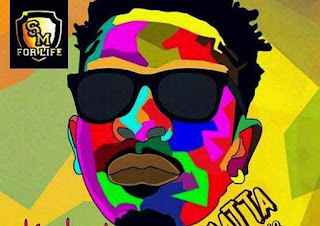 The New Africa: On Shatta Wale's 'Kakai': "You kids now have nothing to sing about..."
On Shatta Wale's 'Kakai': "You kids now have nothing to sing about..."
By Gabriel Myers Hansen That quiet evening, when I had gone to buy sugar bread and fried eggs, which is a de -facto dinner for the Ghanaian bachelor (the other one being Indomie), Kofi, a young man of about eighteen, was already at the vendor's, waiting on his fried eggs. He had a yellow Polo shirt on his shoulder instead, and there was dust on his feet. His skin was dark and ashy, and even with his mouth shut, one tooth peered out. On an old Nokia which he held to his ear, Shatta Wale's "Kakai" had just started playing. The egg seller, Sister Linda, who could be forty, and who led worship sessions at the local Pentecost church, scoffed. I had expected it; my mum too doesn't like the song very much. "Moho yɛ mɔbɔ oo", she said --"you lads are pathetic". We all laughed. She wasn't done. She went ahead to give the exact speech Rebecca Abia Hansen, my mum, would give me when I played music other than Gospel at 4 am: " you kids have nothing to sing about these days...all you know is songs about fornication....", and many such lamentations which adults always have about the youth. Her speech, which was uncomfortable and long, can be summed up as mildly as possible, in these words: music from this generation is senseless. We can never do right by our parents' generation on some things, it seems...especially with our songs and fashion. It's just something we have to live with. Like I usually respond to mum, I merely smiled. If I were in another mood, I would have brought up A. B Crentsil's lengthy and troublesome "Moses". They'll come around, I have come to realise...gradually, they'll feel the fire too. They had the same speech for "Telemɔ", "Yɛ Wɔ Krom", "Ekiiki Mi", and indeed any song from this era which isn't highlife or doesn't contain proverbs or Bible verses. But today, they dance to them at weddings and hum the melody when they're bored in the afternoon. "Kakai" has such "vim-ful" excitement. Once it starts, you sit up; you have to! The keyboard melody which pecks at your cheeks right at the beginning won't permit you to do anything below that. It even sounds like a church anthem. Indeed, the name "Shatta Wale" is music material now. It's so effective that Shatta Wale himself doesn't need an ad-lib. His name works just fine. If we are not careful even, tomorrow, "Shatta Wale" will be the only words in the chorus of his next song, and it will be a hit. "I'm overdosed with mu--saaaaic / Super- scary yeeeaaaah" I've told you, that first line is both symbolic and true about Shatta Wale, who also responds to Charles Nii Armah Mensah, or Bandana, his stage name back in 2004. Musically, he always has something to say, which is why last year alone, he released more songs than any other artist, perhaps worldwide...over ninety. These days, Shatta Wale has achieved midas quality. Once he sings it, we like it. But he doesn't take it for granted. 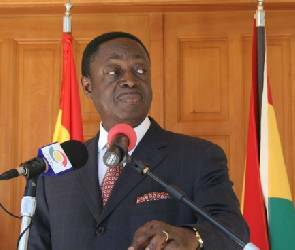 He still maintains a culture of hard work, and he's embracing corporate Ghana too. Already this year, he has released four or five songs. I often wonder how he hasn't ran out of song titles yet. When you've worked so hard and you've come so far with your second chance at fame and success, there's a lot you want to say or insist. The things he says in this song, he's said a thousand times already; he's come a long way and continues to pay his dues, he's rich and relevant, and so has to be recognised through a specific spectrum. The way he presents those thoughts on this occasion are especially theatrical, slick and humorous. " call me your IGP, salute me anytime; yessa massa/ call me Duncan Williams or Mensah- Otabil --hallelujah" It's not wrong to pat your own self on the back. Indeed, a sure way to live a wholesome life is to recognise what you're made of, Shatta Wale seems to feel. Of course it's even more rewarding if someone else sings your praises. Often too, it is good that people recognise the danger you can represent. It makes them afraid, and fear is a respect too. These ideologies find a meeting point in my favourite lines here: " I dey shock like electricity, my brain is bigger than Mississippi/ Larry from Vienna City say Shatta Wale you are si-si-si-cky [sick]/ Achipalago straight up and down say Shatta wo yɛ ogidigidi/ if you be too [two] know know oo, then Shatta be four know know..." Like many of Shatta Wale's songs these past few years, "Kakai" was instantly popular when it was released in October last year. Already, there's a viral video of Countryman Songo boogying to it on his talk show, and it's a prominent has tag on out twitter. The song is malleable to any parody. By replacing one or two words with "Mahama " or "prepaid" or "taxes" or "Akuffo Addo", or indeed any other two-syllable word, it can effectively be a campaign song, or protest song at anything. And because it was released of the back of his break-up with Bulldog, and because of the "Togo jeans" line in verse 1, it's interpreted by many as a dis song as well. "Akutia nim ne wura". Children love this song. When it comes on, they cheer like the lights are back on from hours of "dumsor". For the first time, children are not scared of the word "Kakai", which refers to scary caricature in local parlance. Shatta Wale is a national phenomenon, at the very least. Outside music too, Shatta nearly always has soundbite material. Today he's at the neck of another artist, or journalists, or at Charter House. The next day, he's apologising unreservedly about his actions. Two days later, he's right back at the beginning. I read somewhere that Charter House's George Quaye (who is himself controversial at times) has called Shatta Wale's willingness to be considered for this year's VGMAs an act of cowardice, on radio...demanding that he (Shatta), be a man. But to be fair, only a fool doesn't change his mind, or? Besides, Shatta has the emotion of an artist, which 'demands' that his emotions are visible, and that he express truthfully, what he's feeling at any given time. I do think that these past few months, Shatta has made laudable efforts to sanitise his relationships, severing some and handing an olive branch to others, which he claims, is as a result of an epiphany he experienced at the birth of his son, Majesty. But then again, it's Shatta Wale, so it's only natural that we are a bit cautious. Still, he without sin should cast the first stone. " So me a-humble meself/ anywhere me step, man a down to di earth" Instrumentation on this song is minimal and straightforward. There isn't excessive ornamentation with the beat, so it's not confusing. It's how Shatta (The Maker) often likes his beats. They feel raw and simple, but they're always catchy. With that being said, we must admit this: the speed and progression of the drum kicks which complete the bars in "Chop Kiss" are everything but simple. They're swift and thoroughly impressive. From this point on, we will never be able to rid ourselves of the incred Shatta Wale. There's an array of things he might represent to us in the meantime, but his long-term predictions are what you should note down. Actually, be very very afraid. "Forever and ever, I'll be your soldier Forever and ever, I'll be your leader Forever and ever, I'll be your teacher Forever and ever, I'll be your father" Again, notice how he barks the following line in the chorus: "Hai, hai hai, hai hai / Shatta Wale a-come like Kakai" . Shatta Wale is blunt...crass, at times. His brand of courage takes us aback. Deep down, we like him, or at least are attracted to him. We don't exactly know why ...It's just what it is. "Wale eh Wale eh, dey come perform so go back home" It seems to me though, that especially in these times, we need Wale--esque courage to brace, or just ignore our daily interesting circumstances. I mean, the prepaid from ECG doesn't last, fuel prices are high, there are fire outbreaks and the Guantanamo people are here...people hardly have good things to say about this administration. So if we want to, with "Kakai", gyrate smaaaall to forget our woes too, Rebecca Abia Hansen won't agree? Oh come on! We have nothing to sing about these days? I mean, in the final analysis, Shatta Wale may have given us timely therapy, an actual reason to smile of late, let's admit. "Hai, hai hai, hai hai / Shatta Wale a-come like Kakai" The writer can be reached @myershansen on twitter and at gmyershansen@gmail.com. Also on www.myershansen.wordpress.com.